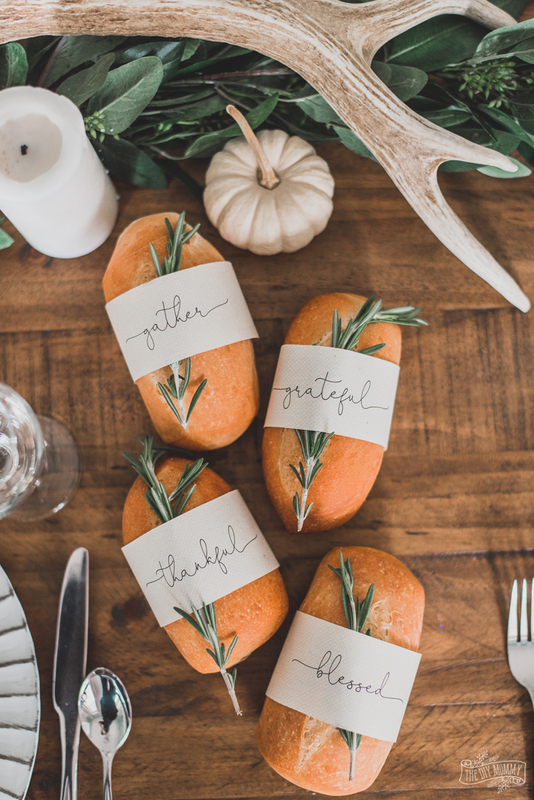 These printable bread wrappers are such a sweet addition to your Thanksgiving table this year, and they’re free to download! It’s Thanksgiving next week here in Canada, and this year I’m setting a table for our family meal that’s nature inspired. 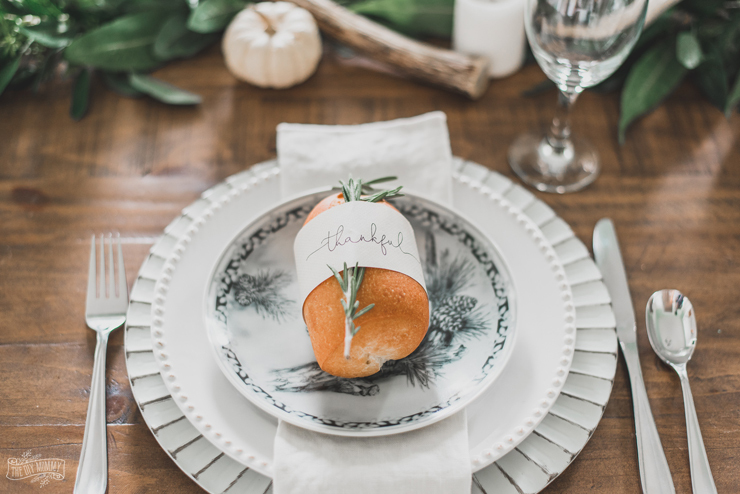 You can find all the details on my neutral, rustic Thanksgiving tablescape right here. 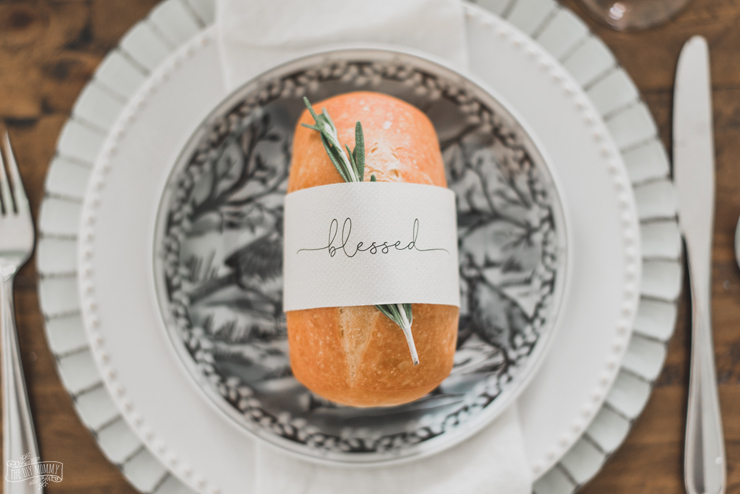 A little detail that I’m loving on this year’s table are these little bread wrappers with the words “blessed”, “thankful”, “grateful” and “gather” on them. 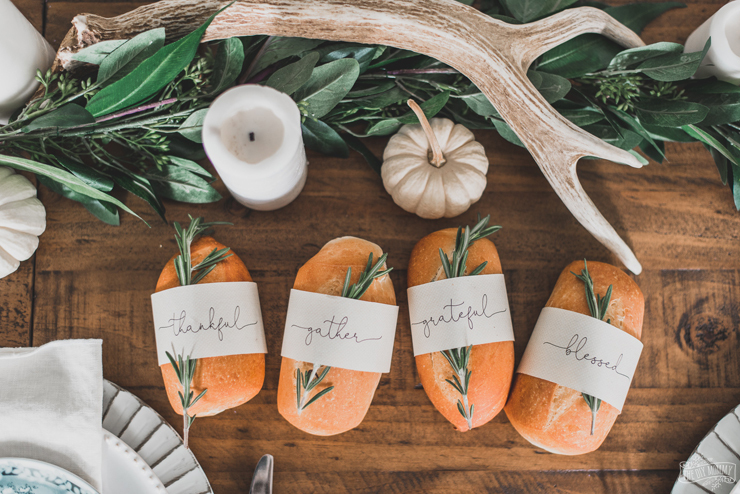 They were really quick to make, and they’re an easy way to spruce up your Thanksgiving table this year. I’ve used a pretty, handwritten-look font on a creamy canvas background to create these paper wrappers that will match with lots of different table styles and colours. 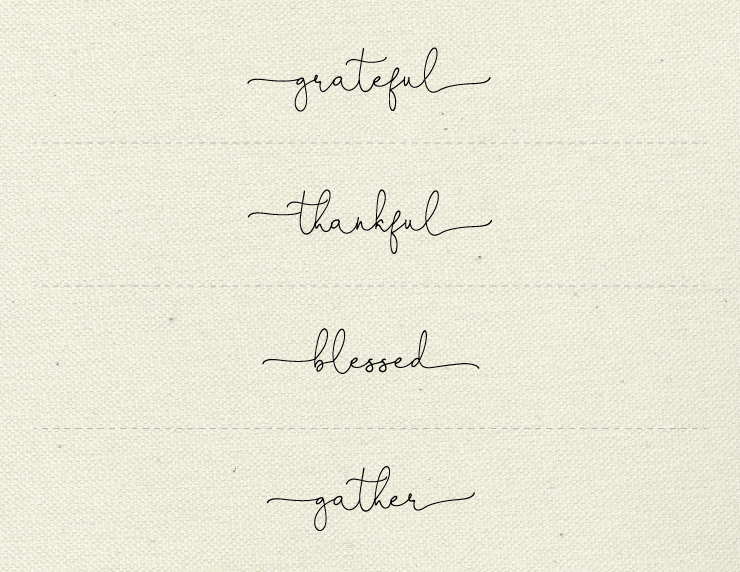 Click on the image below to download your FREE PDF of this Thanksgiving bread wrapper printable, or click right here to download. For personal use only, please. Can you tell me what font you used for the bread wrapper? I love it but would like to use it as personalized table settings w/ names.